So I went rummaging around in a junk yard and found an alternator that will work with the Duratec 4 cylinders! It is off of an 07 Ford Ranger with a 3.0 Liter engine. Better yet it is a Ford 3G variety so it is super easy to wire up. My alternator is a 130 amp and it appears that the 95 amp is smaller and lighter although I am not sure of the year and fitment. Looks like what can be found on a mid 2000's mazda6 and NC miata as well. I think the mazda ia 100amp. I really do not think you need such high amperage alternators in a locost. I installed a lighter wt, smaller amp alternator, [43-45amp]. I'm using an under drive alt pulley and under drive engine crank pulley, and even with an electric rad fan, it's not even near max'ing out the alternator when run other accessories. Worse case it's night and stop-and-go traffic, so all the above may be on. With the alternator at idle, it isn't putting out anywhere near its advertised current. Last edited by KB58 on March 19, 2018, 3:21 pm, edited 3 times in total. For mine, the 100 amp was the smallest readily available bolt on that I could find at junk yard prices. There's always the raceline version but the price is a bit steep. I agree about the amperage being high,and overkill, but it bolts up and has an old school regulator. I wanna try out a 95 amp unit due to this smaller size and weight, but mine was 25 bucks and i didnt even have to pull it out of wreck. My Duratec is from a 2008 Focus. Being willing to spend a bit more while wanting to keep everything as simple and foolproof as possible, I bought a new alternator for a Focus from Rock Auto. It bolts to the engine and it clears the chassis. After determining that it's a 6G alternator I ordered a wiring kit for it from Ron Francis Wiring. 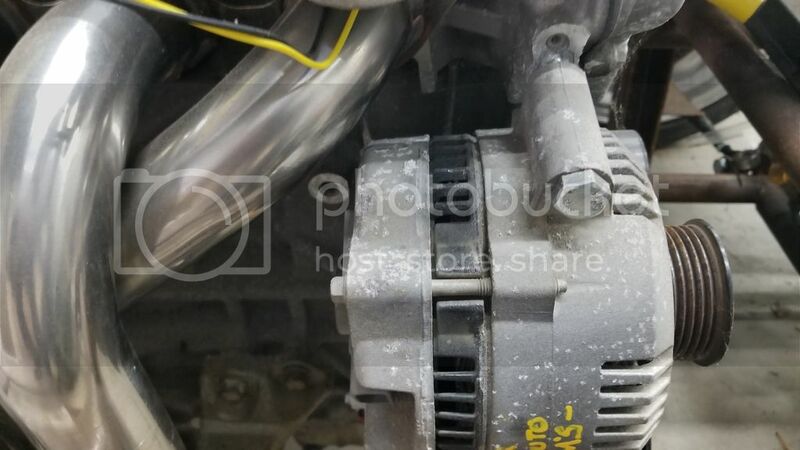 Careful using high output alternators that are oem on newer vehicles. The body computer generally controls load shedding. Check schems for bcm connections to alt. Most still work without the bcm but not nearly as well mannered.